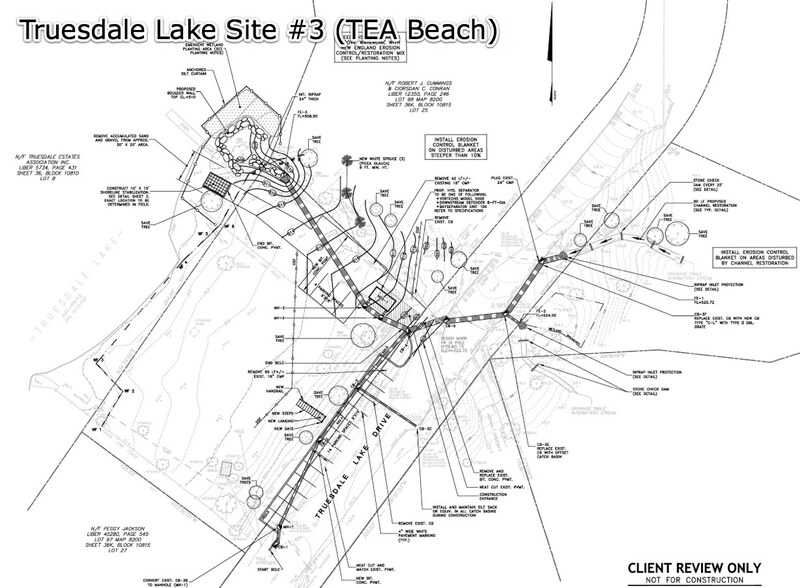 Bid materials have been posted by the town and contractors have started walking the site and are preparing bids for the Truesdale Lake Site #3 (TEA Beach) project. Bidding closes August 25th, 2009. The town and lake representatives will review bids after bidding has closed. To view other files related to this project, click here to see directory links for files you can download. If you are a contractor, you can request a bid materials packet from the Town of Lewisboro on Main Street in South Salem, NY. If you are a resident of Truesdale Lake and have a question about this project, please click the “Contact Us” link on the left hand side and let us know your question(s).